A pleasure to be back at Manchester’s Museum of Science & Industry. 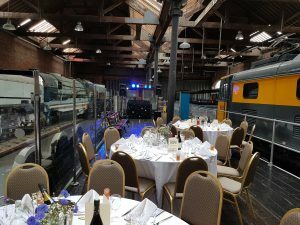 We were helping Mr & Mrs Reynolds celebrate their Big Day. 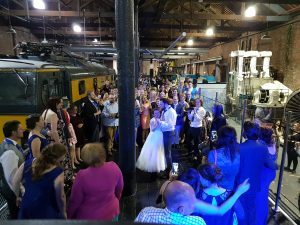 They had picked the rather unique setting of MOSI’s Power Hall as the backdrop for their reception. 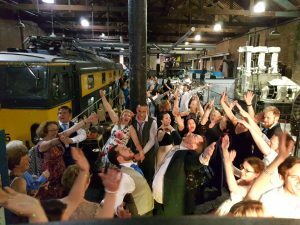 They hired our popular wedding DJ Andy B to provide the soundtrack for the drinks reception, wedding breakfast, assist with speeches &, of course, the evening party! & What a party it was… fantastic night! Congratulations Tom & Geraldine!